Noble was born in Wichita Falls, TX and is a fifth generation Texan. As a Texan by birth, he is required to state this fact first off in any official communications. Noble’s family were mostly either ranchers or preachers. Since he wasn’t big enough to be a rancher, nor smart enough to be a preacher, he decided to go into consulting. Noble worked for Price Waterhouse as a management consultant, and then joined one of his clients (Walt Disney Imagineering), which led him into the theme park business. Over a couple of decades, Noble had the opportunity to work in eight different disciplines, and three different entities within the Walt Disney Company which ultimately led him and his family to Hong Kong as the head of park operations for Disney’s park there. Noble then took his experience and launched the theme park division for the Wanda Group in Beijing. Following a stint there, he was allowed to teach business strategy at the University of Southern California which he found to be his once-and-future-career. However, having never fully shaken the consulting itch, Noble now finds himself back in China helping to launch a new themed entertainment services organization and building resorts in Shenzhen and around the region. Noble and Eleanor are both graduates of BYU Provo. Eleanor graduated with a degree in mathematics, and Noble with a degree in Business (again, because he wasn’t smart enough to be a preacher). Noble has one student athlete at BYU Provo and one student entrepreneur at BYU Hawaii. Noble and Eleanor have one child still at home who they are hoping will be big enough to be a rancher. As seen on Inc., Forbes, EOFire, Crains, FutureSharks, and more! I enjoy people. I am passionate about high quality communication. I believe that power comes from making and keeping commitments. I currently oversee Global operations for MWI, a digital marketing firm with office in the US, Hong Kong, China, and the UK. We work hard, work smart, and get the job done like no one else can. I love what I do. 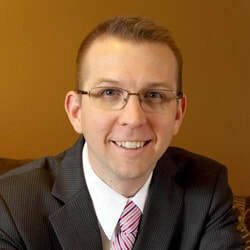 Corey has over 10 years of experience in the sales and customer service industry. As CEO at MWI, Corey focuses each day on not only the growth of the business, but also the satisfaction and success of all employees and clients. He oversees all operation in the US. He is a graduate of Brigham Young University - Hawaii and currently heads up MWI's Phoenix branch office. He's also a father, husband, lover of great food, and an avid baseball fan. MWI is a digital marketing agency that creates customized strategies for every client. Richard Folsom founded Advantage Partners in Tokyo in 1992 with Taisuke Sasanuma. Between 1992 and 1997, they started and managed two new businesses, one a Value-Added Tax (VAT) reclaim service for corporations, formed with partners in New York and London with an operations center in Ireland and marketing hubs in New York and Tokyo, and the other an insurance brokerage and risk management business formed to sell new insurance products in the Japanese market as deregulation changed the dynamics of the industry. This company, Advantage Risk Management (TSE 8769) went public in Japan in December 2006. In 1997, Richard and Taisuke established Japan’s first buyout fund, and Richard has since focused his time on the development of this private equity investment practice. In addition to the 1997 fund, subsequent funds were raised in 2000, 2003, 2007, 2009, 2013, and most recently in 2017. Through the funds, Advantage has made 70 buyouts and investments, of which they have successfully exited 50 and partially exited 4. Recent investments in Japan include the acquisitions of YARUKI Switch Group Holdings, Co., Ltd. (Individual tutoring schools, English language conversation schools, early childhood education) and Net Protections, Inc. (EC payment services provider). The firm’s investment activities have also expanded to Greater China and Southeast Asia, where recent acquisitions include Plastic Center Group, a Malaysia-based manufacturing company and Greenlight Education, a Shanghai-based children’s education company. Before founding Advantage Partners, Richard’s previous experience was in management consulting with Bain & Company, primarily in their Tokyo office, where he accumulated eight years of experience in developing and implementing strategies for both foreign and domestic corporations in the Japanese market. Richard spent over 30 years in Japan and is now based in Hong Kong. He received his undergraduate degree in Japanese and Economics from Brigham Young University, and received an MBA degree from The Wharton School of the University of Pennsylvania. Suetyi is the co-founder of Time Auction, a tech-enabled charity connecting you with inspiring mentors while encouraging volunteerism. By day, Suetyi was formerly the program manager at PLAYSTUDIOS ASIA, a fast-growing social game venture with over 25 million downloads and 1.3 million daily users. 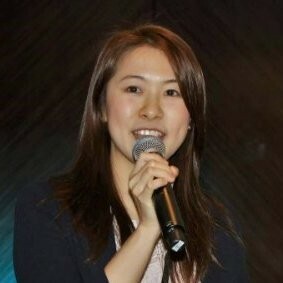 Previously, she was sales at Bloomberg where she spearheaded and organized its inaugural Hedge Fund Forum in Hong Kong. A global citizen who has lived and worked in Hong Kong, Singapore, and United States, Suet Yi is an avid traveler, health and mindfulness enthusiast. She graduated from the University of Southern California with a Bachelor’s degree in Business Administration. Charles Lui is the CEO of Fok Hing Distribution in Hong Kong, which provides a complete agency, wholesale, retail and distribution services for food and products manufactured in South East Asia. His company manages over 20 chain supermarkets ("Indo Market") promoting South East Asian food and products to the community. It operates as the sole agent for "Indomie," which has the world’s largest sales volume among noodle products. Fok Hing Distribution is the recipient for Primaduta Award from Ministry of Trade of Indonesia and Top Service Brand Awards by Hong Kong Brand Development Council. Charles is the awardee for “CAPITAL Leaders of Excellence 2011” by CAPITAL Magazine. In his spare time, he participates as the District President of Boy Scott Association of Hong Kong. Anita Hummel never set out to be an entrepreneur, as it was never a part of her life’s plan. Like so many other things in life - it just happened. Anita is the owner and Managing Director of Mondoro Company Limited, a Hong Kong based company that has offices in Hanoi. Vietnam and Guangdong, China. Naomi is the the co-Founder and Managing Director of Happy Lab International, a confectionary brand and retail experience. Prior to starting her own business, Naomi worked in international business development for WordPerfect/Novell. She currently serves on the Board of Directors of YKK Beehive, a family-owned property investment company. In her spare time, Naomi raises her six children and husband and serves as a seminary teacher. She received a degree in Linguistics from Brigham Young University. Rebecca Sin is head of ETF Sales Trading Asia Pacific at Commerzbank. She supports and educates clients on the ETF market and the entire spectrum of ETF products, assisting clients in executing trades, and driving Commerzbank’s ETF business and client coverage in Asia Pacific. Sin has worked in London, Tokyo and Hong Kong as a portfolio manager, market maker and synthetic equity trader. She has a B.S. from Brigham Young University, majoring in mechanical engineering and minoring in mathematics. Sin is also an executive member of Women in ETFs Asia and the Deputy Chair of Commerzbank's Regional Diversity Committee. She is passionate about gender equality and diversity. In her spare time, she enjoyed cooking and playing football. Denis Huen, B.Sc. M.Sc. (CUHK) M.Phil. (HKU), finished a Master of Science by Research (MRes) with distinction in Medical Robotics and Image Guided Intervention at Imperial College London and founded a startup company called MedEXO Robotics to develop publicly affordable wearable robotics for healthcare and wellbeing. He also cofounded a social enterprise startup called MedPot helping the elderly population to take long-term medications safely through technology. Recently, he got into PhD degree program in Biomedical Engineering at University of Oxford and planned to suspend the study in order to fully focus on his startup. ​Denis has won many top national and international awards in science and engineering. One of his inventions, an artificial robotic leg for the disabled, won Denis a Third Place Grand Award at the 57th Intel International Science and Engineering Fair in 2006, champion and a title “Little Young Scientists of Tomorrow” by the Ministry of Education of China in 2006, and the Hong Kong ICT Awards 2008: Best Innovation & Research (College & Undergraduates) Gold Award with ”Energy Conversion From Nuclear Radiation to Electrical Energy” project. MedEXO Robotics won Gold Award in E2 Day (Social X Tech) Pitching Competition, Champion in DBS Social Innovators 2016 program, GoodSeed 2016 (SIE HK Government prototyping fund), Champion in BREAKTHROUGH Stage at RISE 2016 conference, and Top 10 in International Student Innovation Award 2016, London, UK. Jason Wong is the APAC managing director of MWI, an integrated digital marketing agency, covering Hong Kong, Shenzhen and Singapore offices. Seeing the lack of integrated digital solutions locally, in 15 months he grew both the HK & SZ offices from scratch with over 600% revenue growth. Some of their digital clients included SmarTone, Manulife, Hotels.com, Wanda Group etc. MWI continues to grow with a young, passionate and Win/Win culture. Prior to MWI, Jason has given career consultation and talks to over 400 professionals and executives within IT, digital & start-up industries across the region. 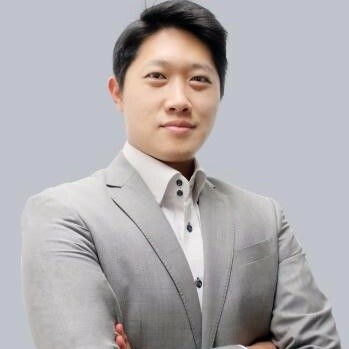 He successfully assisted with over 50 promotions and career moves into Cathay Pacific, HSBC, IBM, JP Morgan, Lane Crawford, LKK, Guru Online, Agoda.com etc. Outside of work, Jason is a singer, photographer, scuba diver, pianist, triathlete, trail runner, backpacker, a husband and a Mormon. Jennifer Chan is the Google Play Business Development Manager at Google. She helps app/game developers in Hong Kong and Taiwan succeed on Google Play, including maximizing revenue, influencing top charts, payment and discovery. Jennifer is also actively involved in developer outreach in Hong Kong. Andy Chou is an international business leader, investor and entrepreneur. 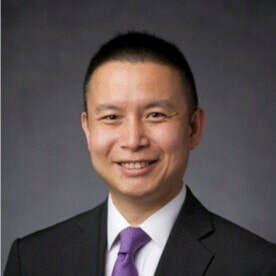 In his current capacity as Vice President at Peace Field Financial Advisory, Andy evaluates mid-market businesses and alternative investment opportunities from different parts of the world, and leads the marketing efforts of the firm by working with high net-worth individuals and institutional investors throughout the Greater China region and parts of Asia. Prior to joining Peace Field, Andy was the managing director for an US multinational corporation and was responsible for all of the company’s operations in East Asia. ​In his professional life, Geoff lives at the intersection of education, multiculturalism, and careers. 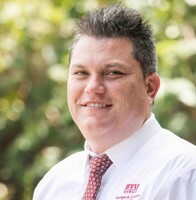 As a Relationship Manager with Alumni & Career Services at Brigham Young University–Hawaii, he helps students, alumni, and employers connect globally, with a focus on the Asia-Pacific region. This work regularly takes him to Mongolia, Japan, mainland China, Hong Kong, Macao, and Taiwan. Geoff has lived and taught in China, Japan, Hawaii, and his homeland of California. He enjoys learning languages and cultures, including Mandarin Chinese, which he learned in the U.S. Air Force and now speaks at home. He also enjoys creating professional photography and artwork through his unique FriedPaint brand. Geoff is currently studying in the Stanford Graduate School of Business for the LEAD Certificate in Corporate Innovation, with a diverse international online cohort. He holds a Master of Arts in Organizational Leadership from Brandman University, part of the Chapman University System. He is a certified Global Career Development Facilitator (GCDF), practitioner of the Myers-Briggs Type Indicator (MBTI) and the Strong Interest Inventory, and Teacher of English as a Foreign Language (TEFL). He is keenly interested in the ways individuals can impact and be influenced by organizational systems, and believes that feedback is a highly valuable gift. Keni is an MBTI, ESFJ personality type. In other words he is a professional socializer that likes to keep harmony amongst those he works with daily. He is a BYU Hawaii alumnus and native to Hawaii. He has worked as a Relationship Manager at BYU Hawaii for the past two years and enjoys working close to his home in La’ie. In his current role at BYU Hawaii his area of focus is Southeast Asia, Korea, the Philippines, India, Africa and New Zealand. His work in these areas recently helped with the creation and execution of the first Asia Pacific Career Conference (APCC) at BYU Hawaii that welcomed over 50 employers from 20+ countries and over 20 Self Reliance Service members from the Asia/Pacific region. ​When he’s not traveling and building relationships that help secure opportunities for his students in these areas, you can find him spending time with his family which consists mostly of girls’ volleyball and soccer, sports tournaments on the weekends and occasionally a bbq at the beach. He also enjoys renovating and building onto his house, helping friends and family and anyone else that will let him get near a nail gun and table saw. A successful entrepreneur with experience in international trade, manufacturing, global supply chain management, product development, and sales. Originally from Alberta, Canada, he has spent more than 30 years building businesses here in Asia. Ross enjoys using his creativity, product, manufacturing, and retail knowledge and experience to help customers create strong product plans and find solutions to make their global manufacturing feel effortless. 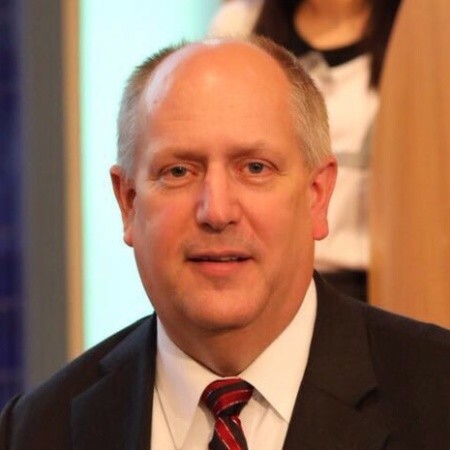 Ross has served as President of the BYU Management Society Taiwan Chapter and is presently serving as the Asia Representative on the Global Steering Committee. Over the past 25 years, Ben has worked in a number of executive roles in the investment banking, startup and property development sectors in Asia. He and his wife are the parents of six children and he enjoys serving as a home teacher with his sons. Ben received a degree in Exercise Science from Brigham Young University and a MBA from the Anderson School of Business, University of California at Los Angeles. Doug has spent his entire career in corporate education and has worked at Valley Bank of Utah, American Express, Fidelity Investments, Andersen Consulting, Arthur Andersen, and McAfee. He is currently employed by PwC, a large, multinational professional services firm, responsible for leadership development across Asia. He has served in a wide variety of LDS Church callings, with his most favorite being those which give him an opportunity to teach (which he says is every calling!). ​Doug married the love of his life, Charisse, 35 years ago. They raised five delightful and amazing children, and now enjoy 12 grandchildren. Charisse and he have lived in Hong Kong eight of the past ten years and have enjoyed many adventures around the world marveling at God's stunning and inspiring creations. Doug loves college football, photography, preparing for and running Jedi Academy, and just about every Disney movie. He is also fond of any movie Charisse invites him to watch with her. Doris Pai is currently Regional Manager – Compensation & Benefits, North Asia and Asia Pacific at Tiffany & Co., the New York jewelry retailer. She has over 15 years of human resources management experience, with a focus on designing compensation and benefits structure, performance management, and providing analytical support for Human Resources and business leaders. Prior to joining Tiffany & Co, she has worked for The Dairy Farm Group, the food and hygiene products retailer in Asia and a property development company in Hong Kong. Her personal mission is finding out what motivate people to do what they do and how we can create a better and a more inspirational workplace. Doris graduated from Brigham Young University with a Bachelor's degree in Psychology and a Master of Organization Behavior from Marriott School of Business. She is married to Matthew Scott Leonard and has two daughters. She strongly believes there is more than one right way to be Latter Day Saints woman/mother and it is absolutely possible to find balance between home and work, with a supporting husband and family. She hopes that all members in the LDS community can encourage, support and celebrate the professional and educational aspiration of LDS women of all ages. Renee Wu is currently a consultant of Robert Walters, specializing in Financial Service, IT & Operations. She used to work at Aston Carter as Candidate Manager for banking and financial services industry. Renee has extensive experiences in recruitment services industry and is a master in professional resume building. Helen has extensive work experiences in both the education and banking industries. In 2008, she founded the IANG HK Association which is a registered charity that aims to provide employment services and cultural exchange opportunities for college students. In 2016, she founded the Helen Foundation to groom individuals with potentials to become elite leaders, by investing in various research programs. This year, she is also cooperating with Commission on Youth to develop employment scheme for the new generation. On top of her busy schedule, she is also an EMBA guest lecturer, world traveler, artist and writer. Daniel is a Senior Consultant at Silverstrand Executive Search, a boutique headhunting firm focused on financial services. He specializes in Asset Management, Private Equity, Hedge Funds, Wealth Management, Management Consultancies and Fintech. He has been in the financial industry for over 6 years, focused mainly on the Asset and Wealth Management industries, looking after product distribution, wealth management, preservation and transfer. Prior to that his career was in IT focused on programming and systems administration. He has also had businesses since 2005 focused on F&B and Music. More recently he started a company leveraging on new technologies to provide solutions to different industries.